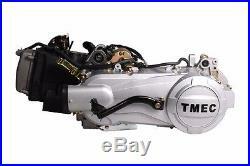 150CC GY6 Short-Case Fully AUTOMATIC CVT 4 Stroke ENGINE. 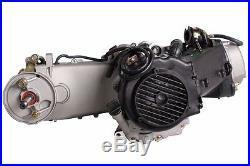 Brand new GY6 High Performance ATV QUAD GO-KART MOPED SCOOTER Engine, 4 stroke, AUTO (CVT) clutch. Engine comes complete, ready to bolt on. 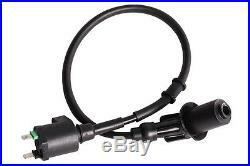 Kick start lever is included. 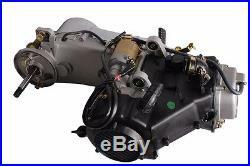 THIS COMPLETE ENGINE INCLUDES CARBERATER, CDI, STARTER SOLENOID, COIL. 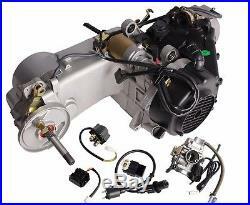 Style: Short case Engine Type: GY6 Single Cylinder 4-Stroke Cooling: Air Cooled Displacement: 149.6cc. This scooter engine is used in a wide variety of applications, including full-size street legal scooters, all terrain vehicles (ATVs), dirt bikes, and go karts. 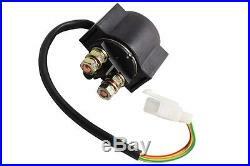 Compatible with both 125cc and 150cc engine size scooters and vehicles. 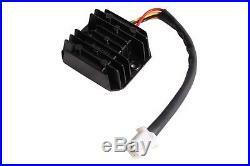 Please N ote: GY6 125cc and 150cc motors come in different sizes. Please measure the physical size to be sure you get the correct one. 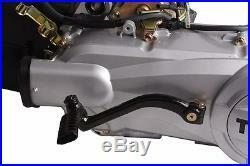 The difference is in the length of the rear swing arm. Different lengths have been made to accomodate other wheel sizes. Please use the dimensions in our pictures to verify that this engine will fit your scooter prior to ordering! 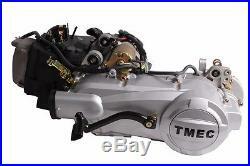 It is T-Motorsports company policy that all engine sales are final. 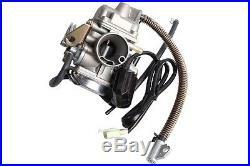 The item "Short Case 150CC GY6 Scooter ATV Go-Kart Engine Motor 150 CVT Auto Carb Complete" is in sale since Wednesday, November 06, 2013. 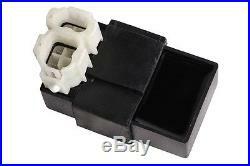 This item is in the category "eBay Motors\Parts & Accessories\Motorcycle Parts\Engines & Engine Parts\Complete Engines". 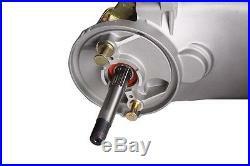 The seller is "gold3288gold" and is located in Pomona, California.